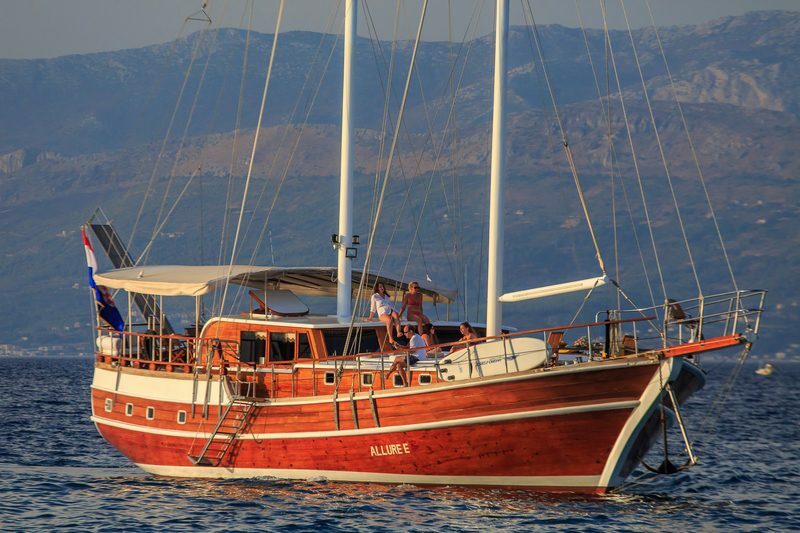 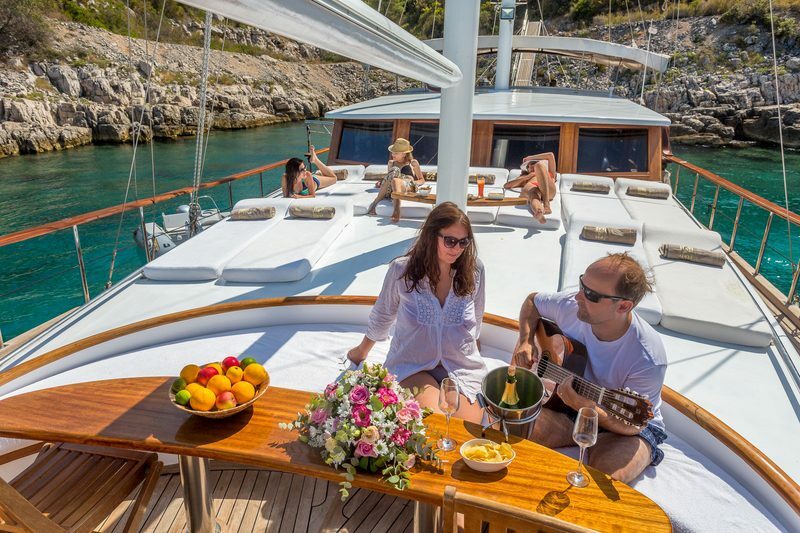 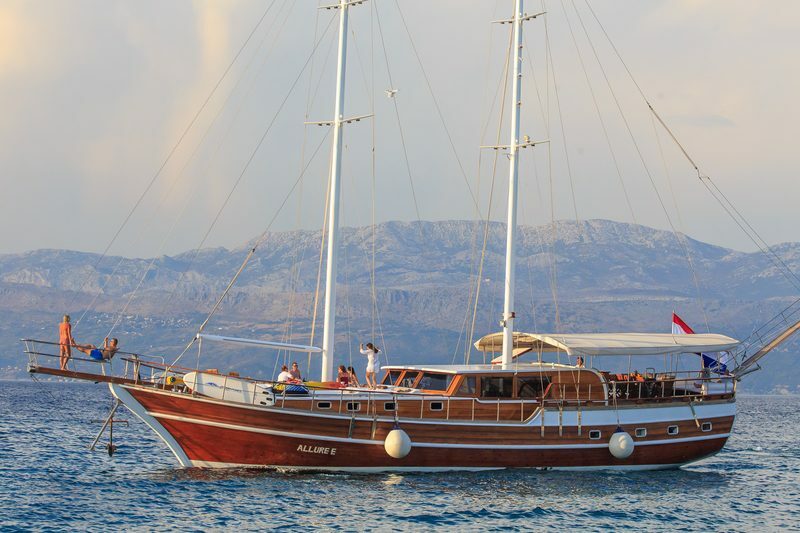 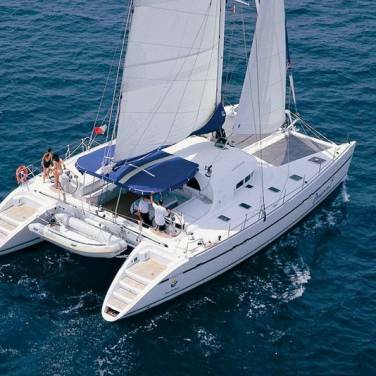 Gulet Allure is a luxury boat available for charter in Croatia. 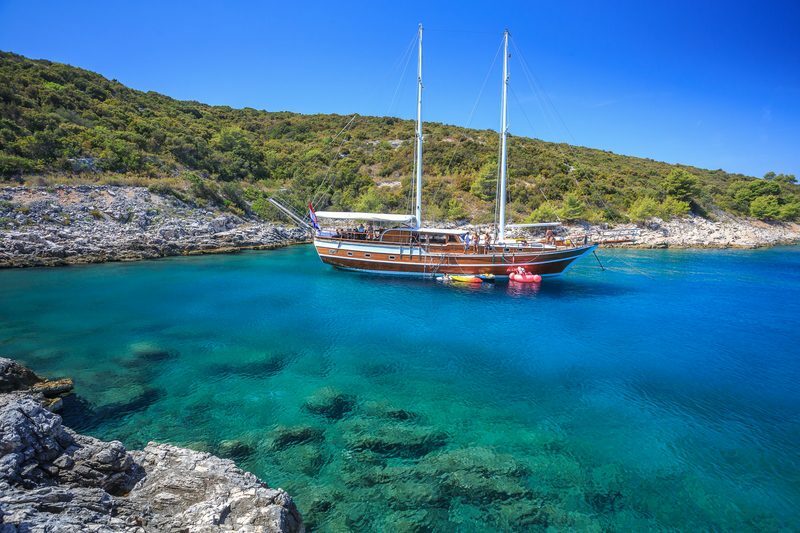 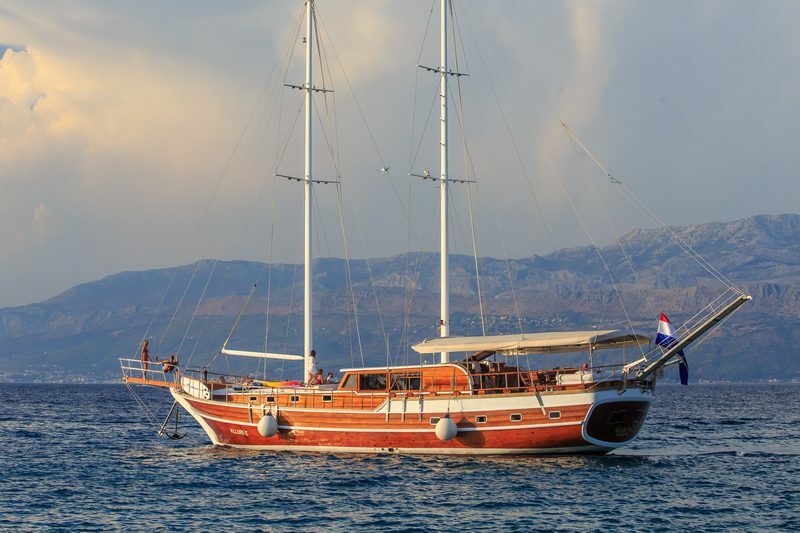 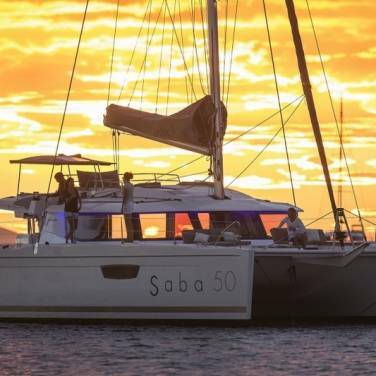 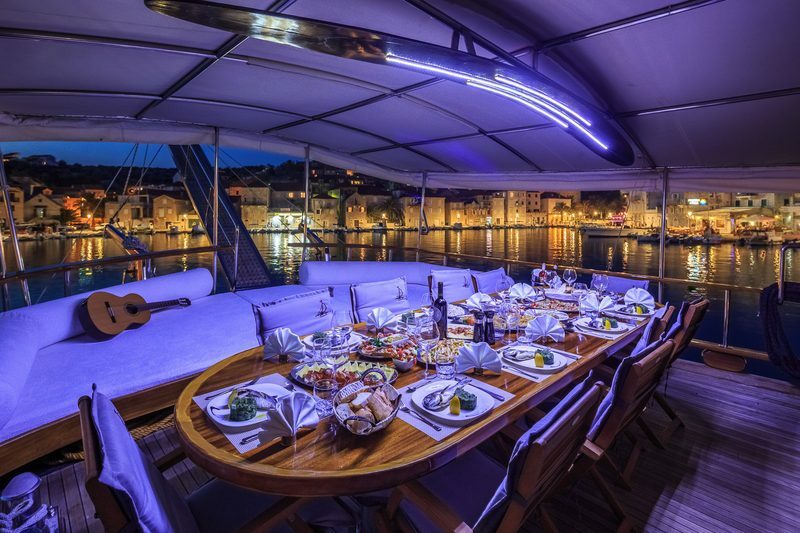 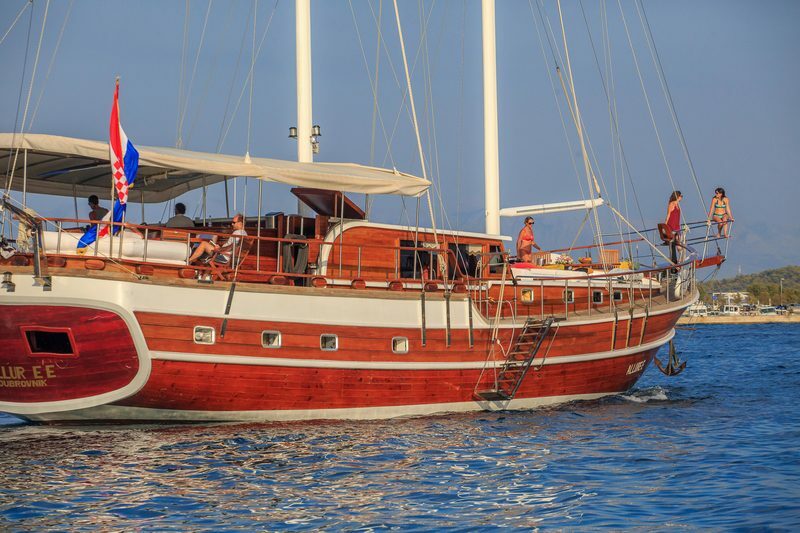 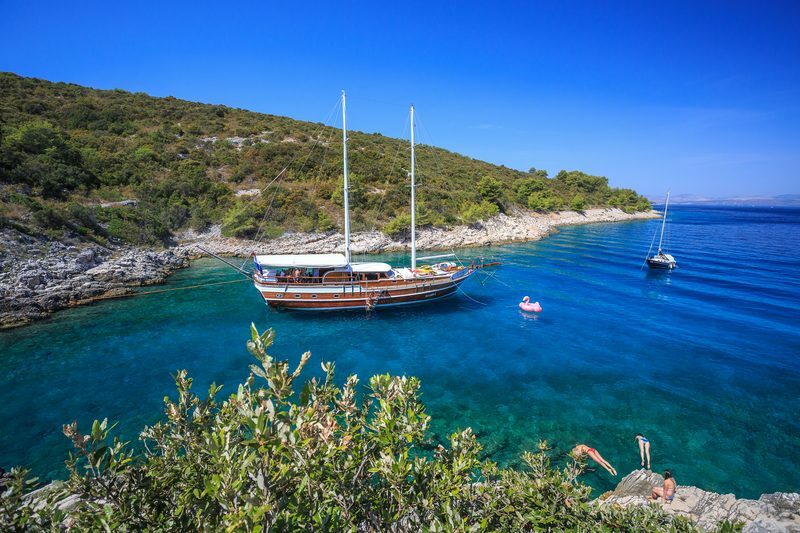 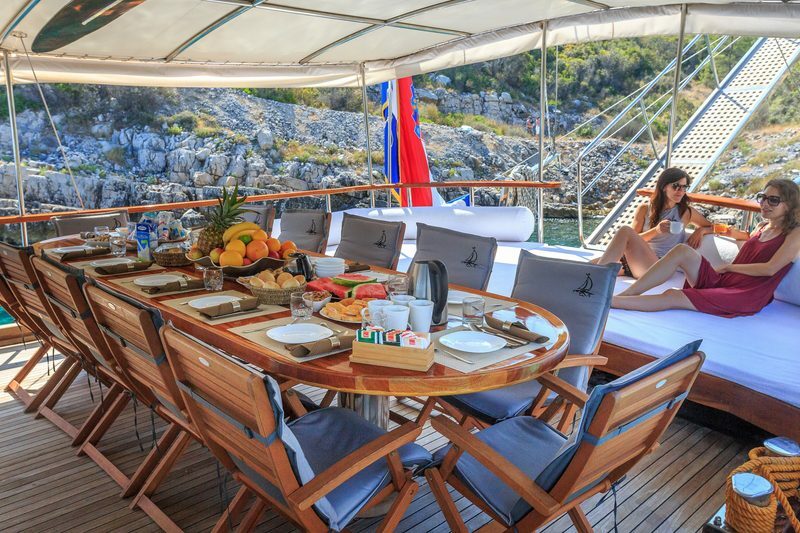 Charter guests have a choice of booking this lovely gulet either from Split or Dubrovnik, giving themselves an opportunity to enjoy the Adriatic coast and a myriad of nearby islands. 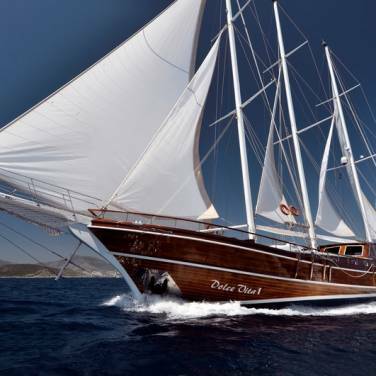 Her well-appointed layout and a classic interior make furthermore this gulet a perfect sailing yacht for a charter holiday on the Adriatic. 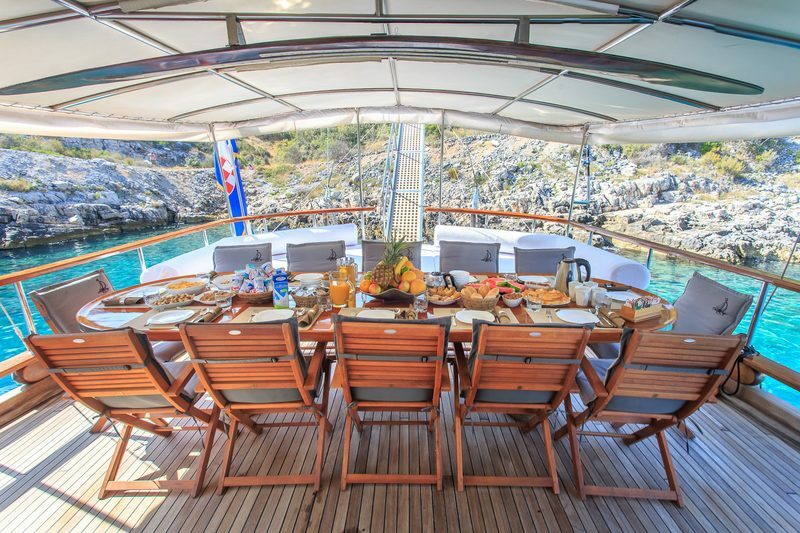 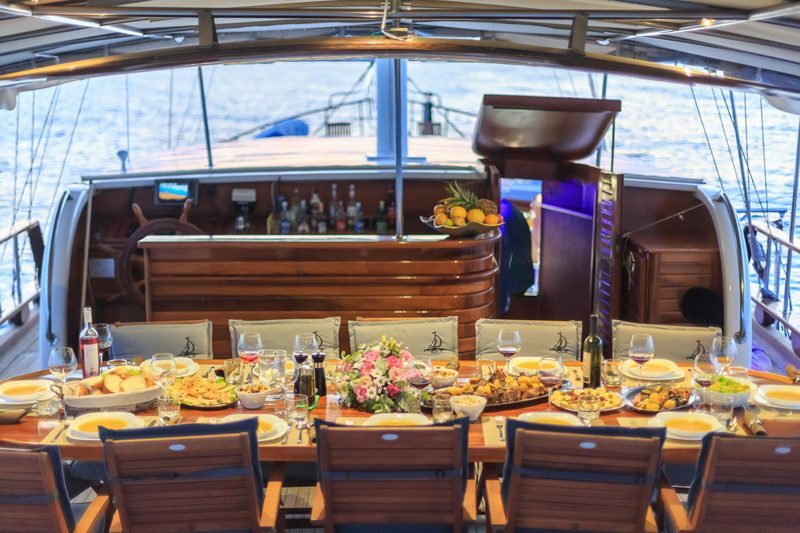 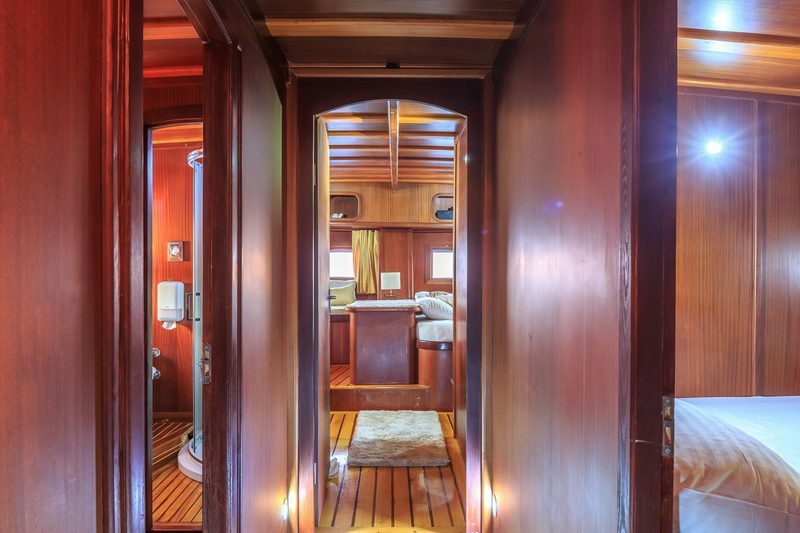 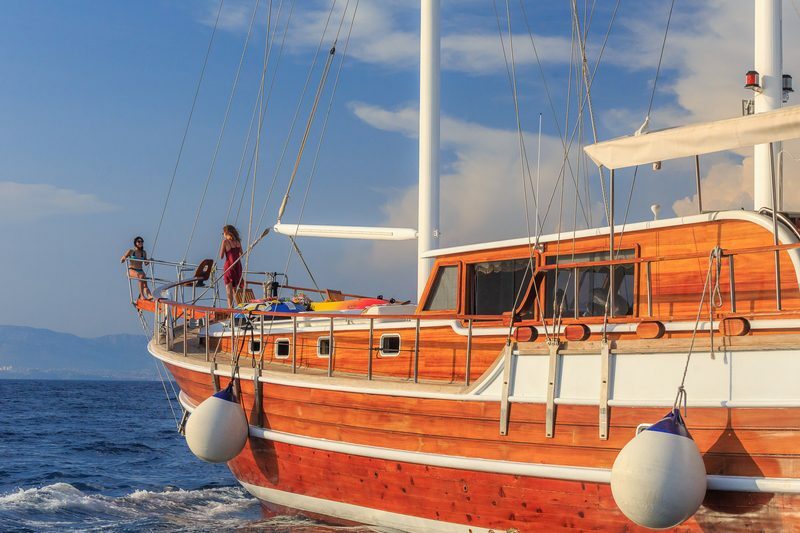 Gulet Allure offers luxurious en suite accommodation for a party of up to 14 guests in 7 cabins comprised of 6 double cabins and one master cabin. 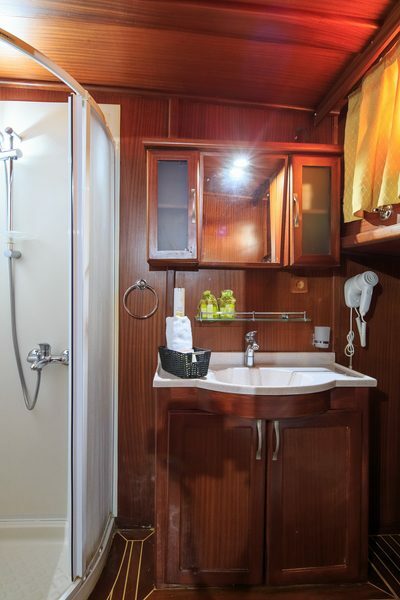 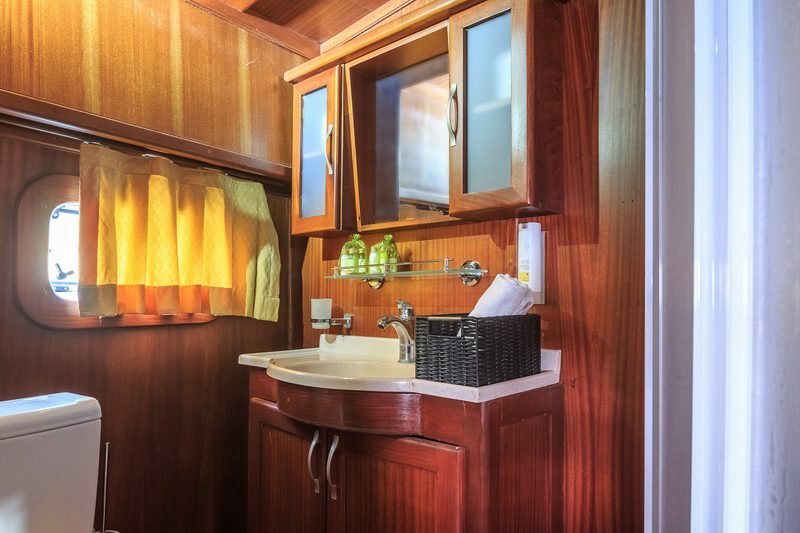 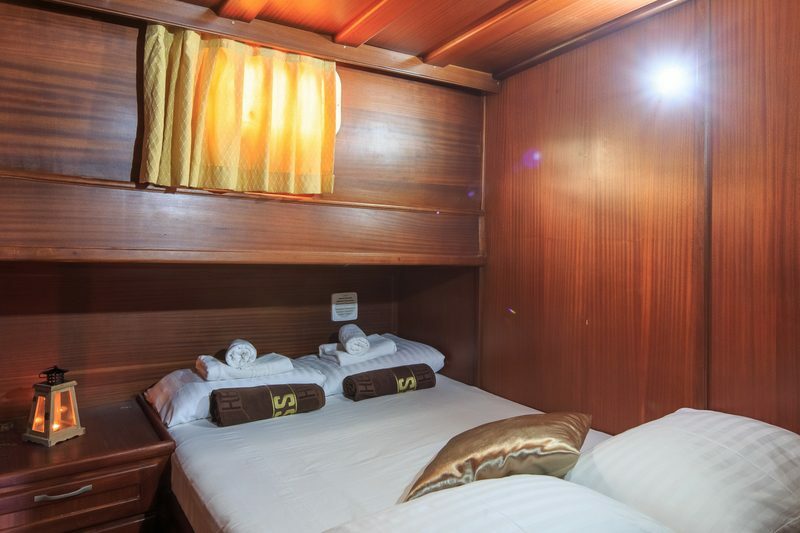 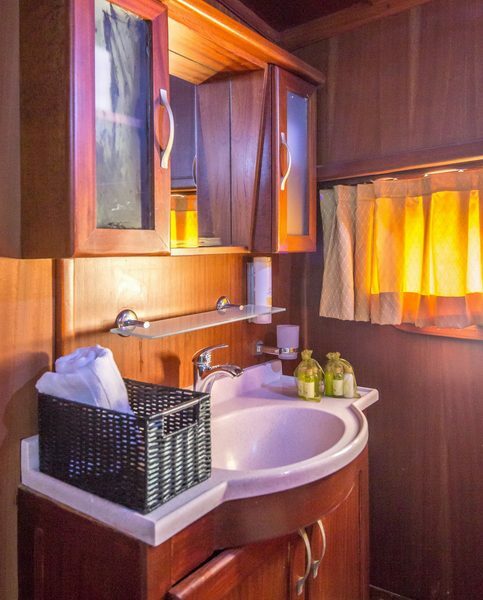 All cabins are fully-air conditioned and have amenities such as Bluetooth music system / speakers, a hair dryer and a safety box. 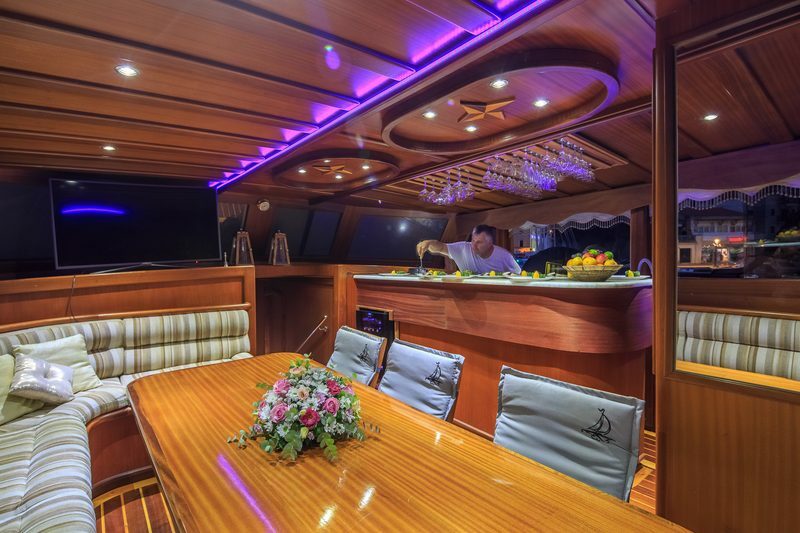 The main salon is elegant yet functional with a lounge seating area / dining area with a bar. 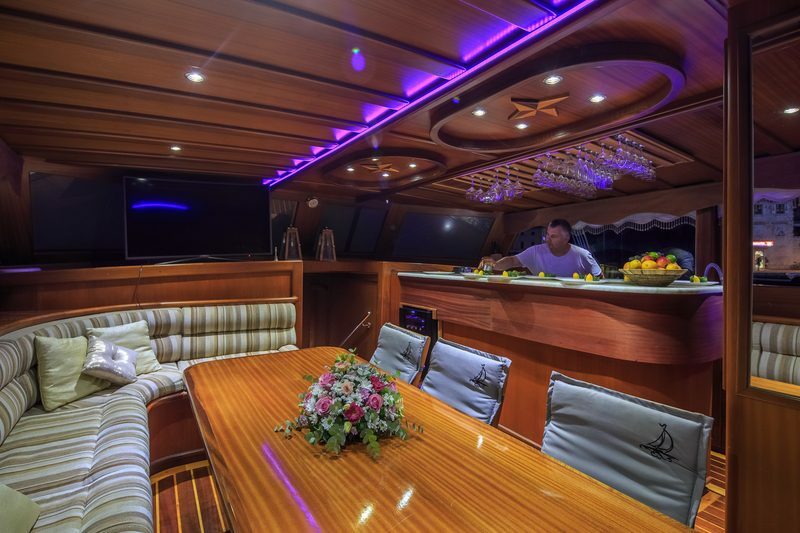 Fully air – conditioned and with LED TV and Bluetooth (wireless) speakers, it is a place to be once the sun sets down. 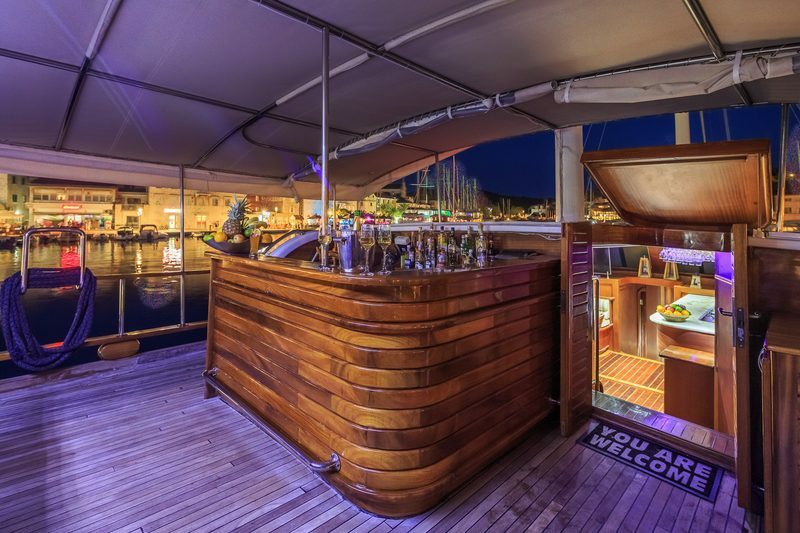 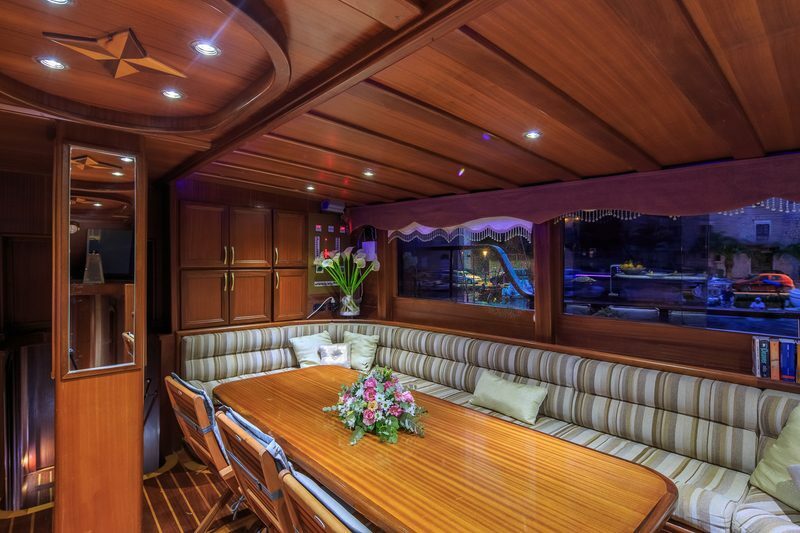 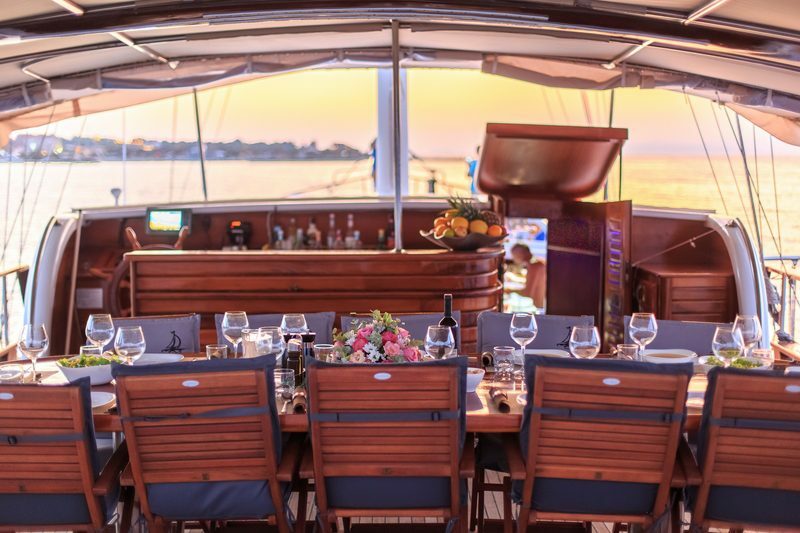 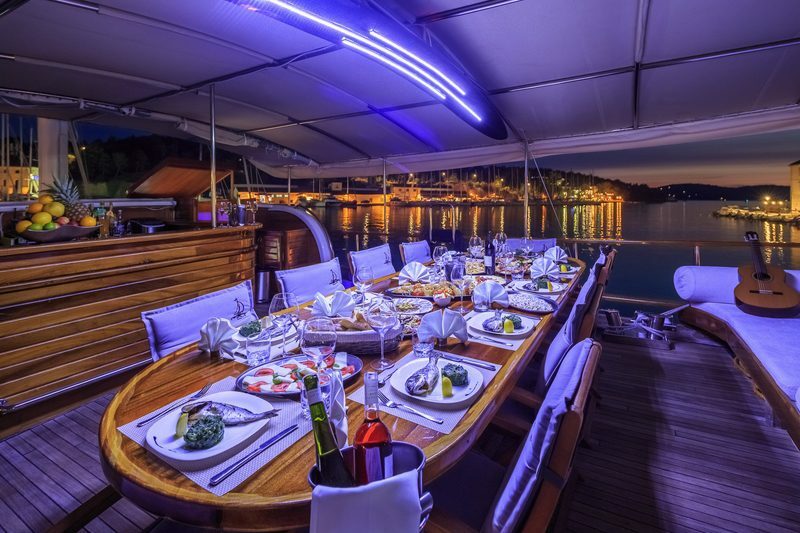 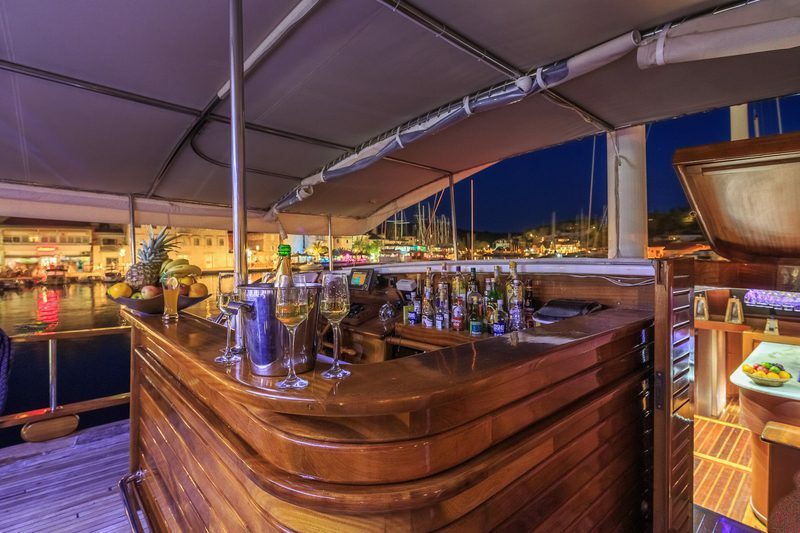 Outside, the stern deck has a cushioned platform and a beautiful wooden table, providing for superb al fresco dining. 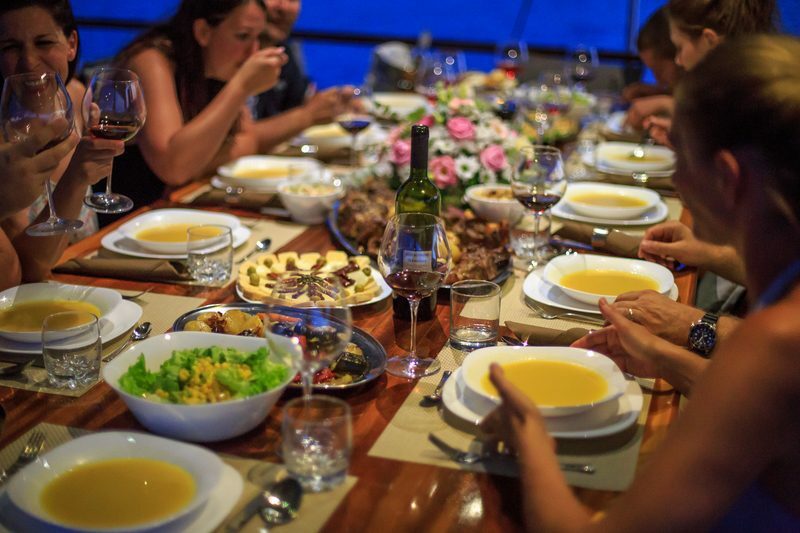 Here the guests can retreat from the sun and taste the local cuisine prepared daily. 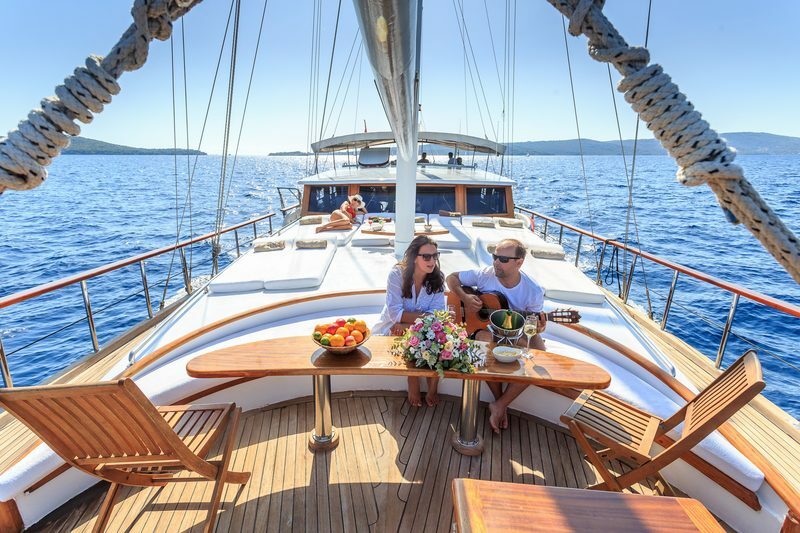 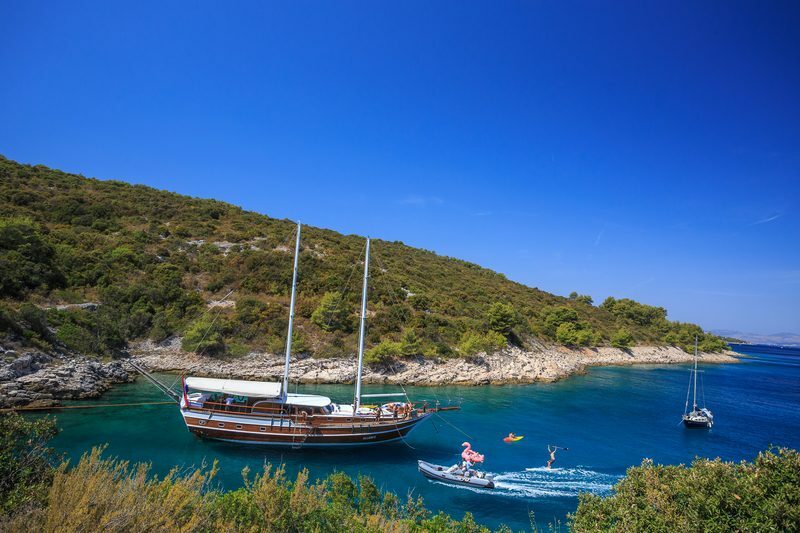 Other outdoor features that render this gulet a perfect choice for a sailing holiday in Croatia include a spacious sun deck with sun mattresses and a wide array of entertainment and sports equipment. 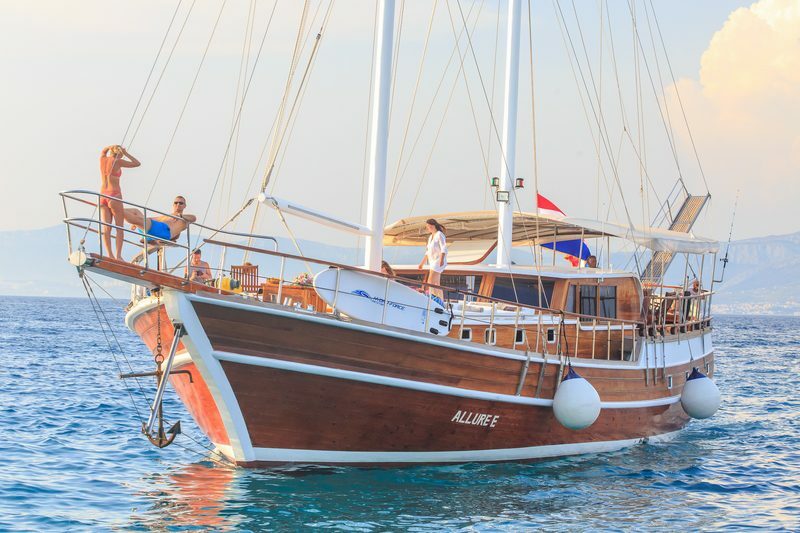 Taking pride in her personalized and attentive service, gulet Allure provides three crew members (a captain, a chef and a steward) who are there to ensure that all charter guests sail in the utmost comfort and ease. 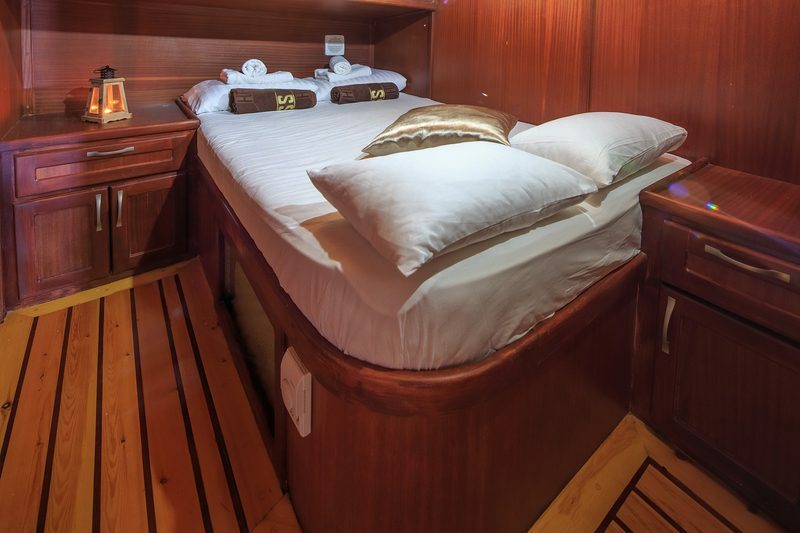 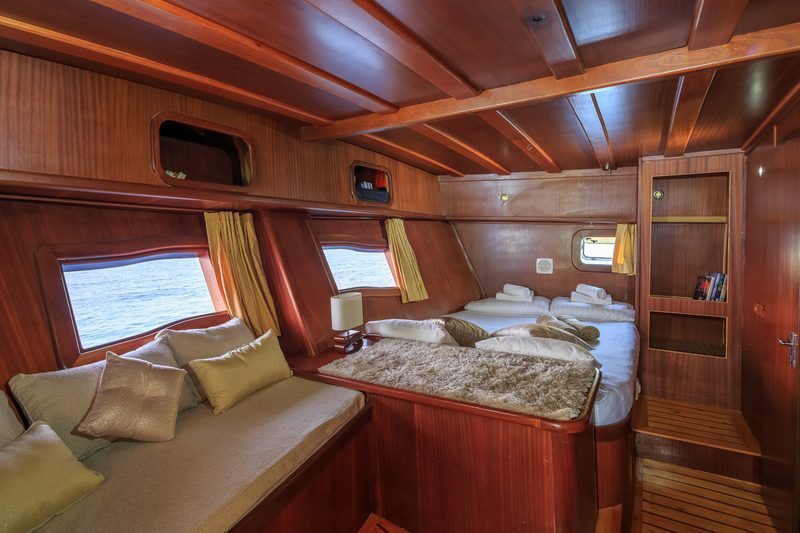 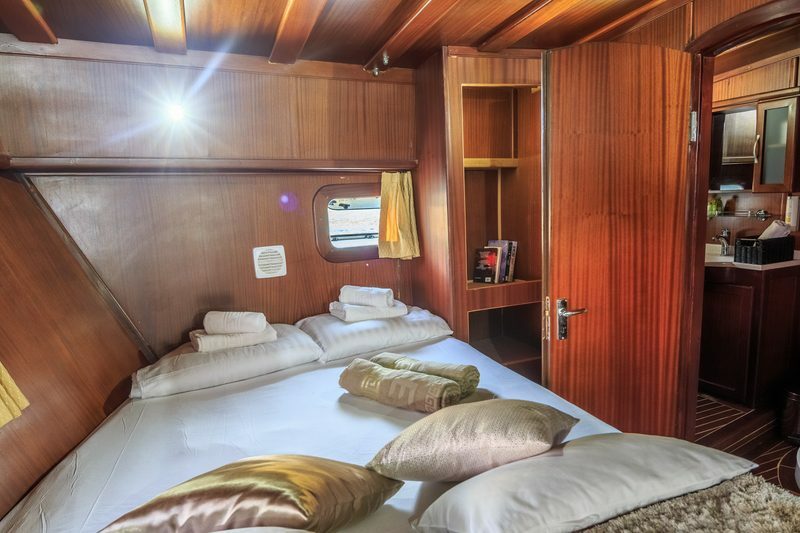 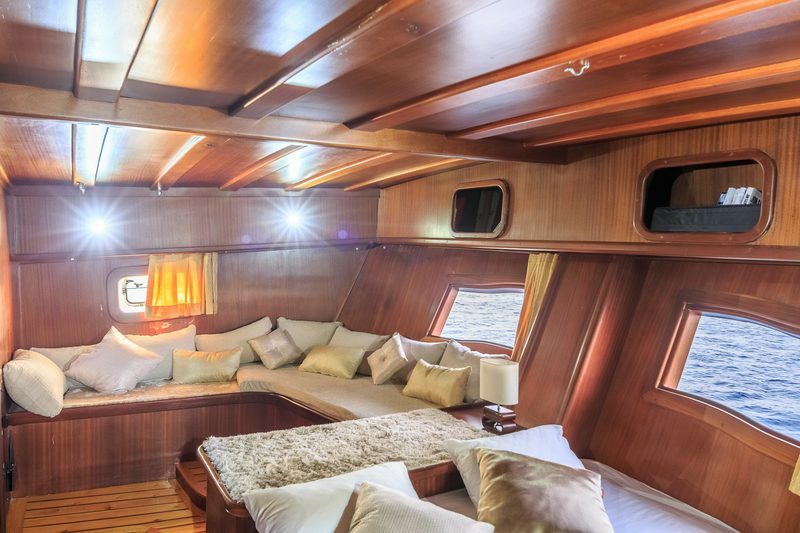 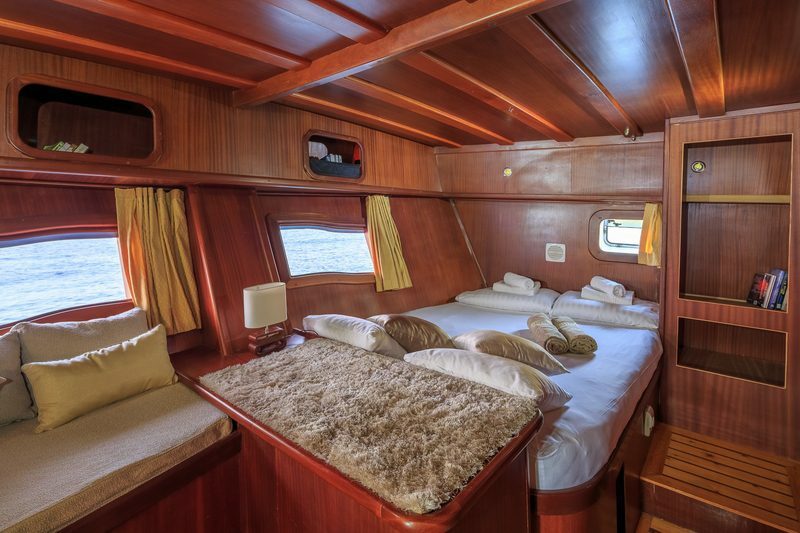 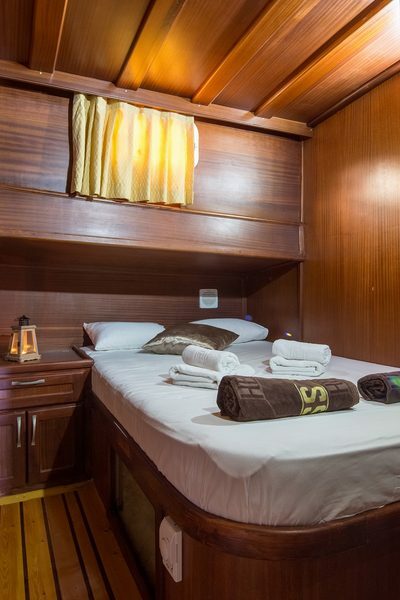 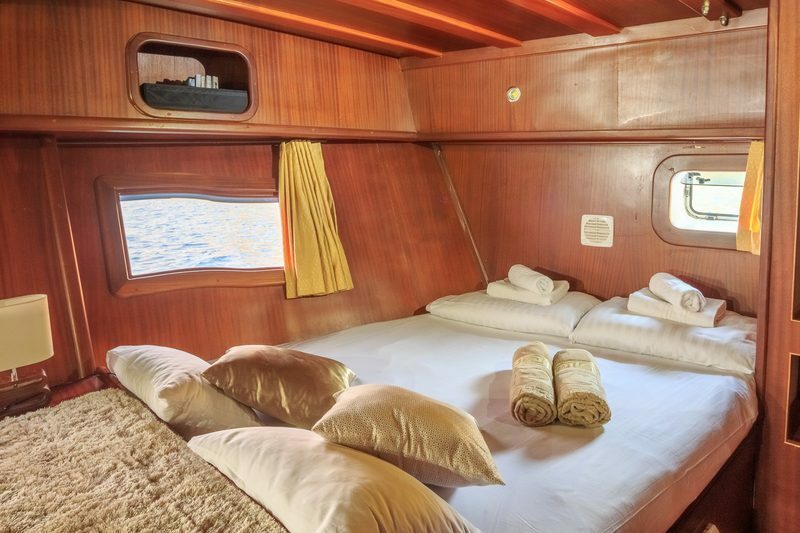 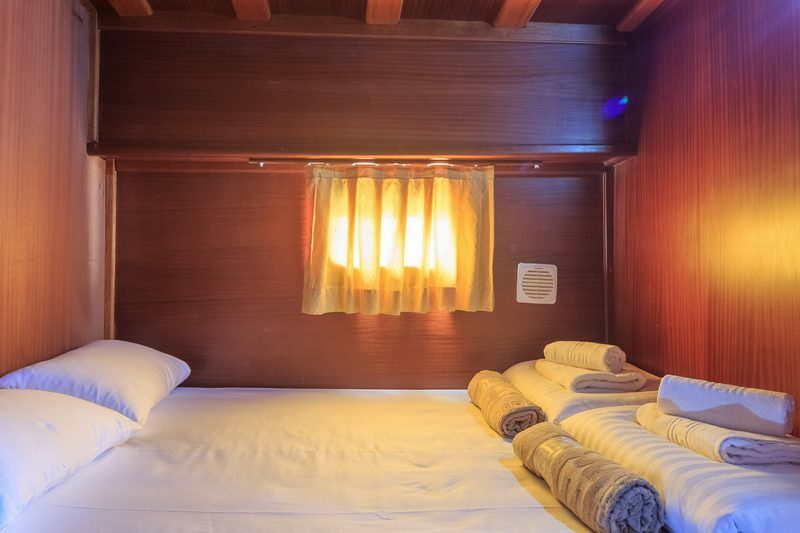 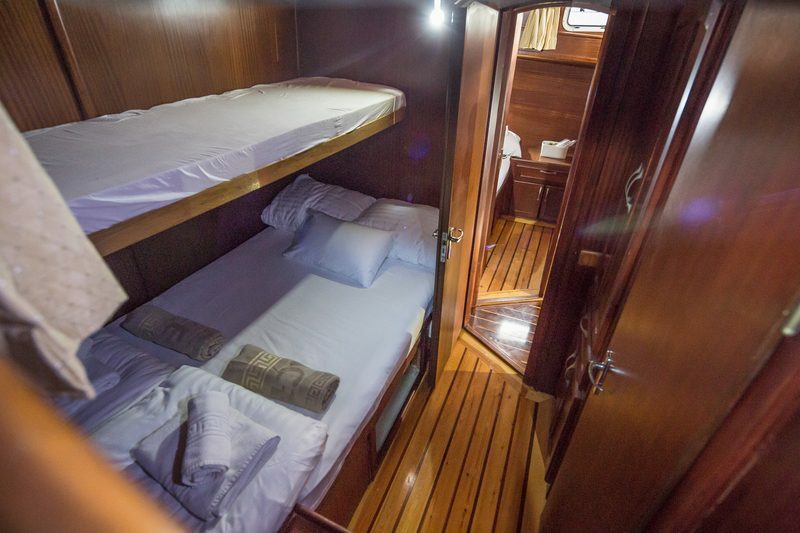 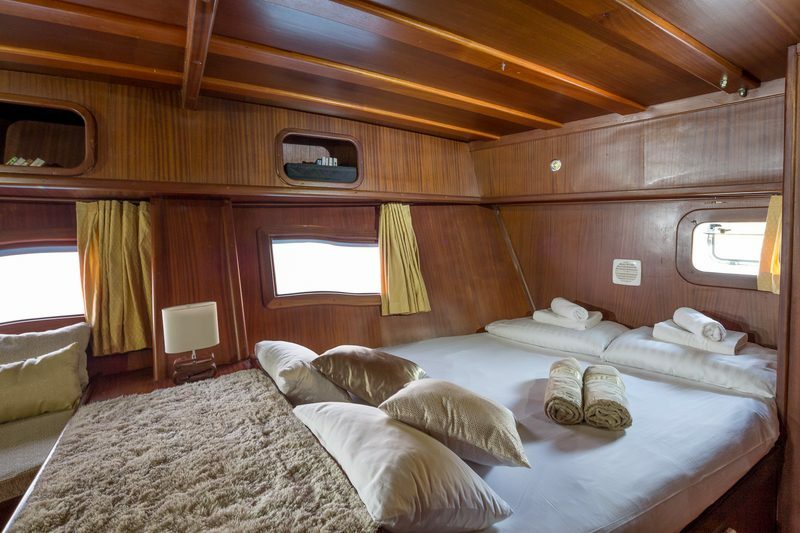 Putting great emphasis on privacy, gulet Allure provides a separate sleeping layout for the crew members so the clients can experience the ultimate nautical adventure. 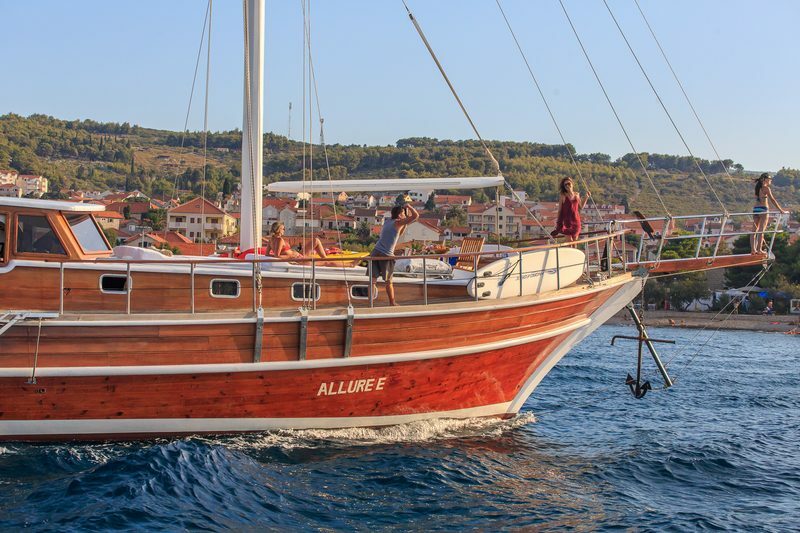 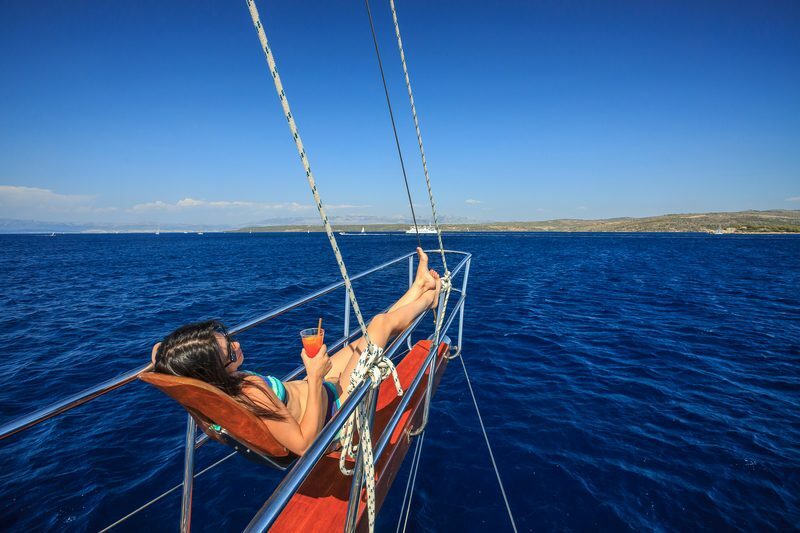 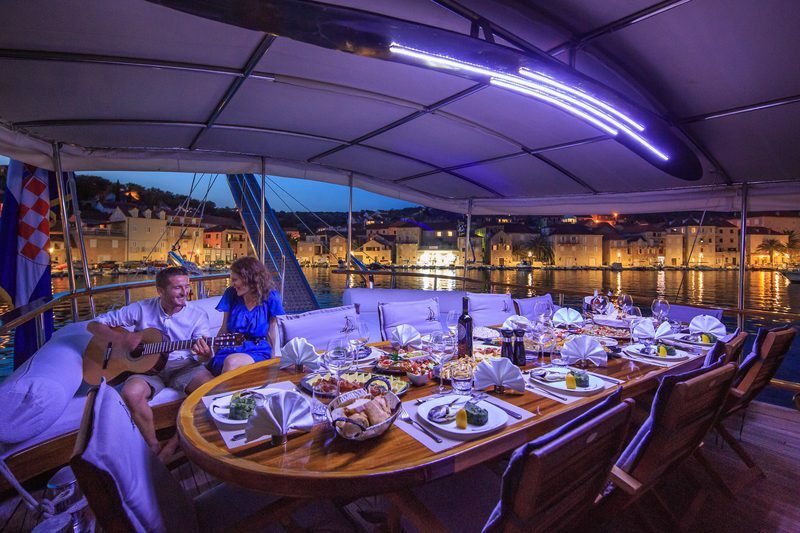 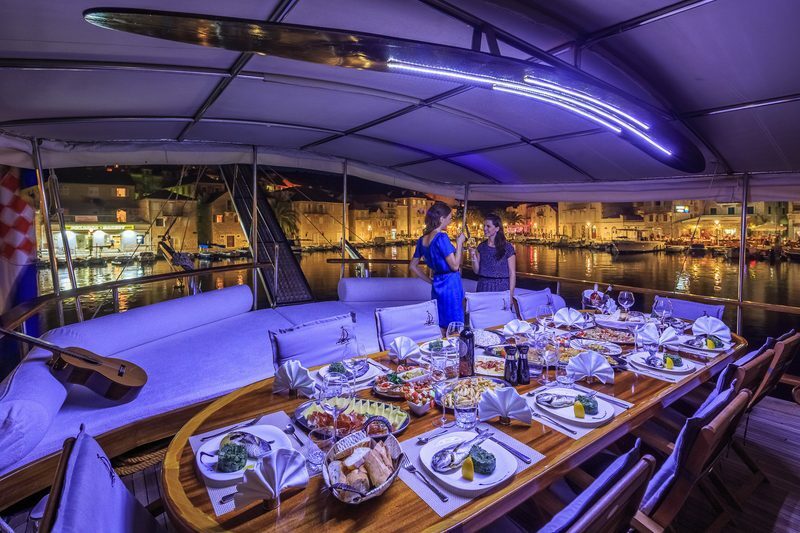 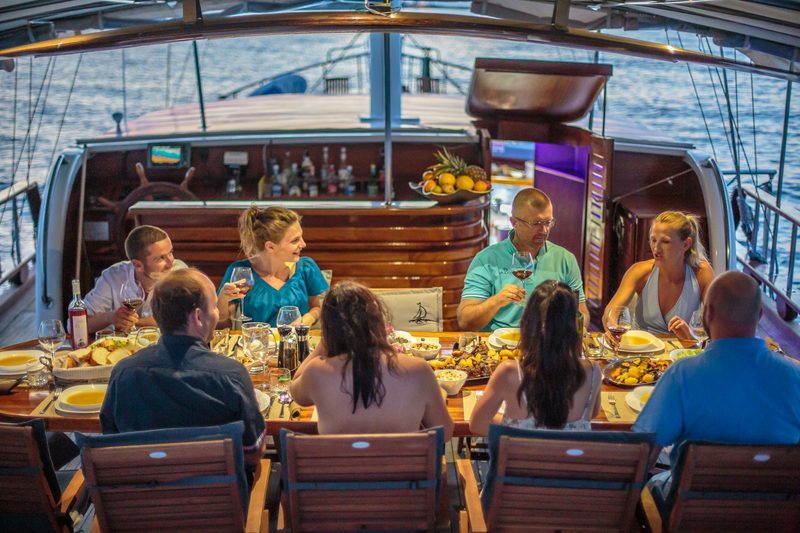 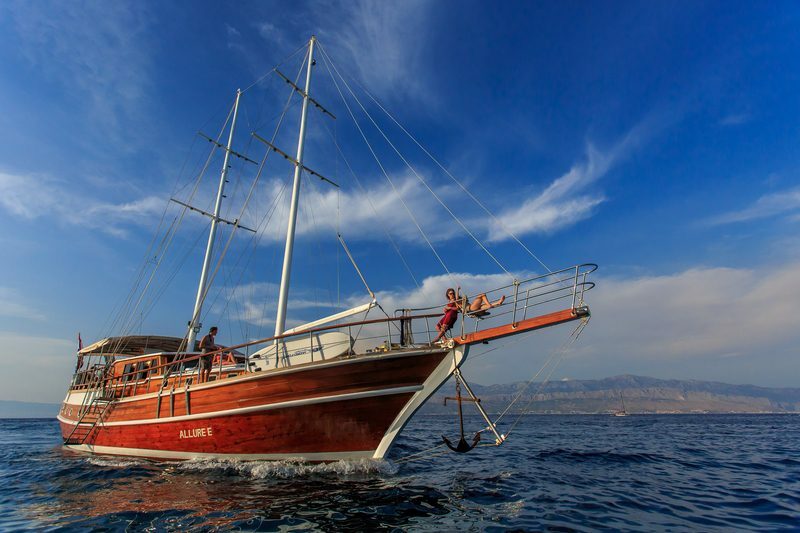 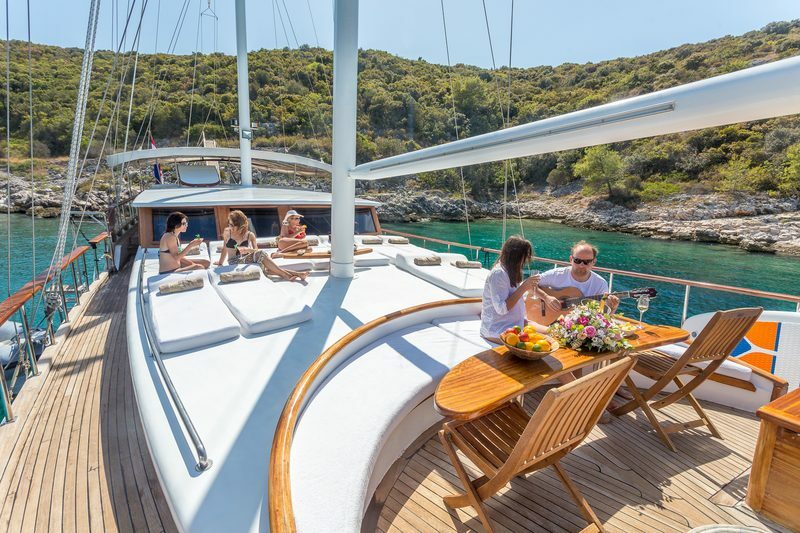 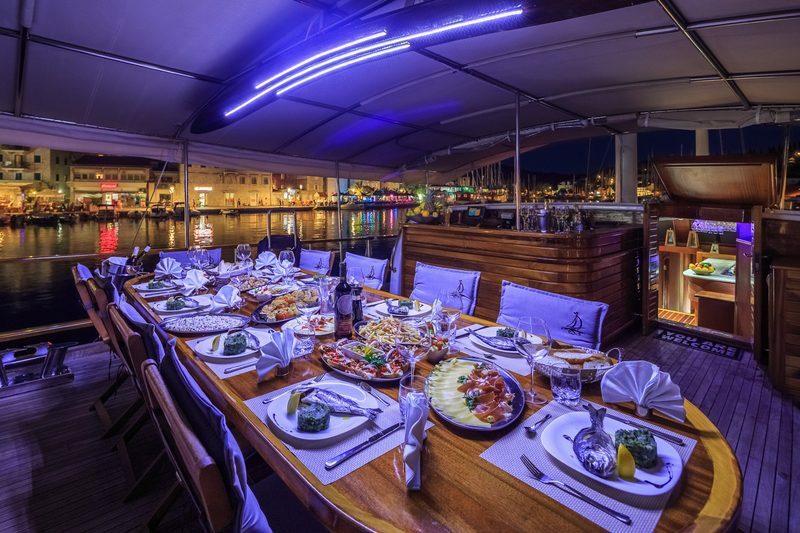 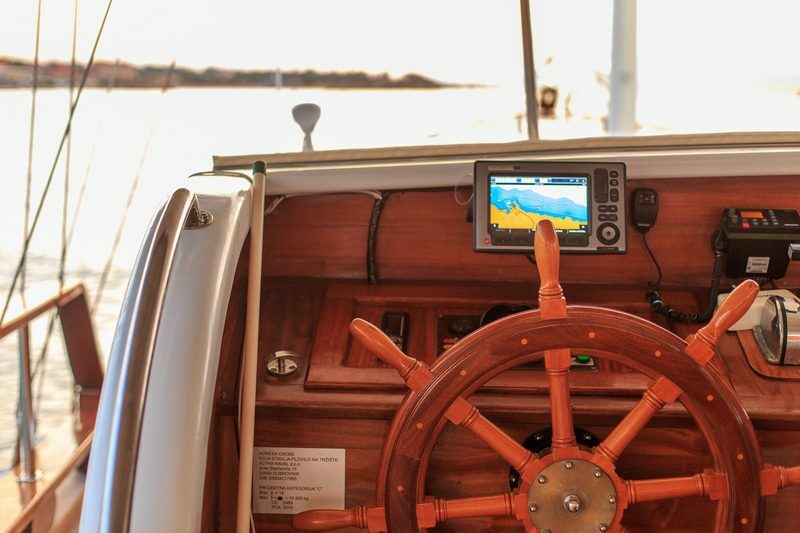 Whether for family charters or relaxed sailing with a group of friends, gulet Allure simply has all that it takes to show you the true allure of a gulet vacation in Croatia.